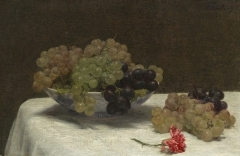 Although painted in his studio, this still life shows the influence of the outdoor experiments that Claude Monet undertook in the summer and fall of 1869, while he was living at Bougival on the Seine River. 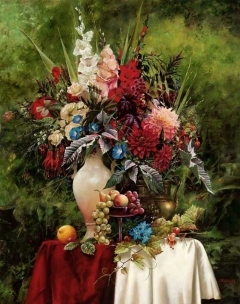 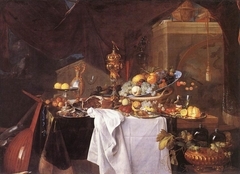 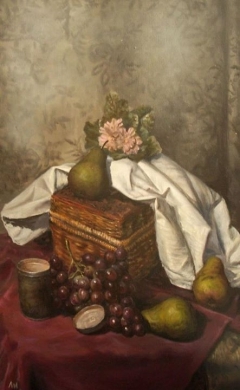 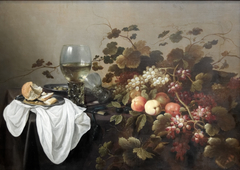 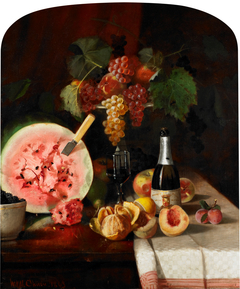 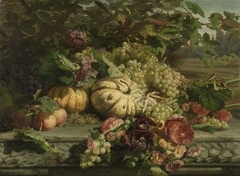 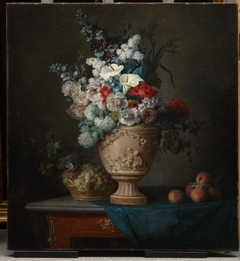 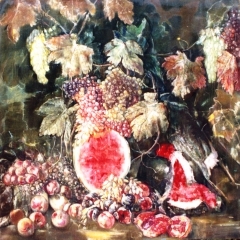 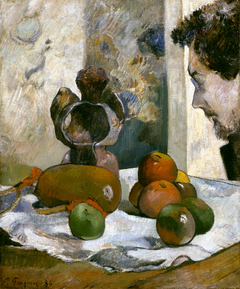 His exercises in different painting techniques are seen in the way he softened the outlines of forms and the manner in which he explored the descriptive possibilities of brushstrokes: broad and flat in the tablecloth, sketchy in the apples, and short and dense in the flower petals. 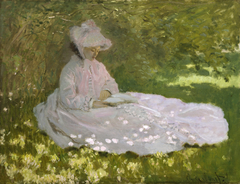 Monet's technique is also apparent in the use of light to animate the surfaces of the flowers, fruit, and tablecloth, and in the way the colors are affected by the light, by reflections, and by each other. 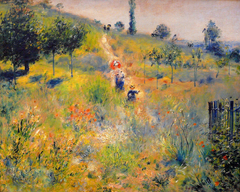 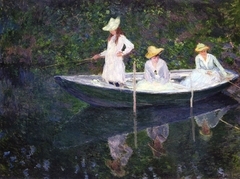 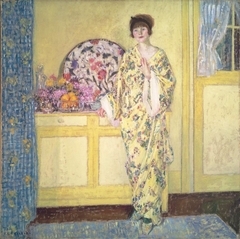 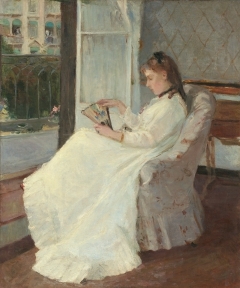 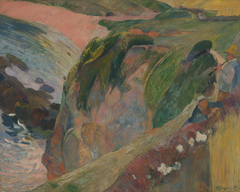 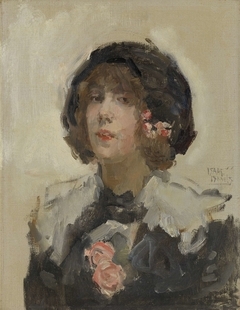 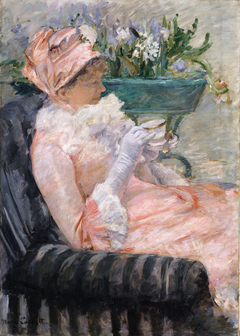 These pictorial innovations became the foundation for the development of the Impressionist technique in the decades that followed.